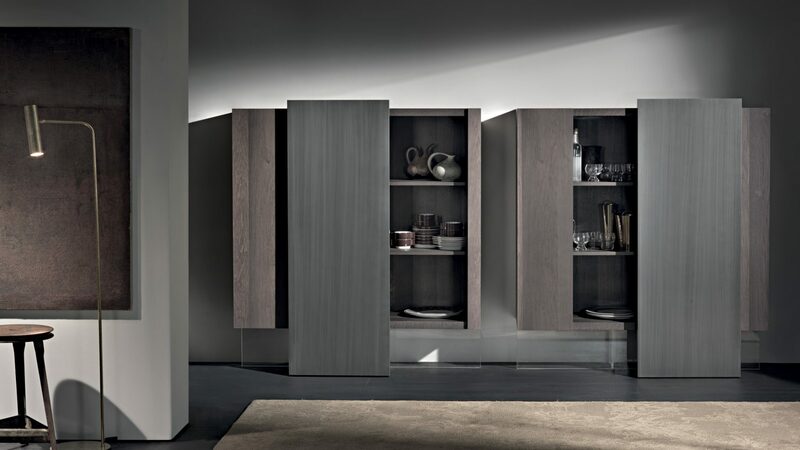 Pair of cupboards available as single or double units and in different finishes. 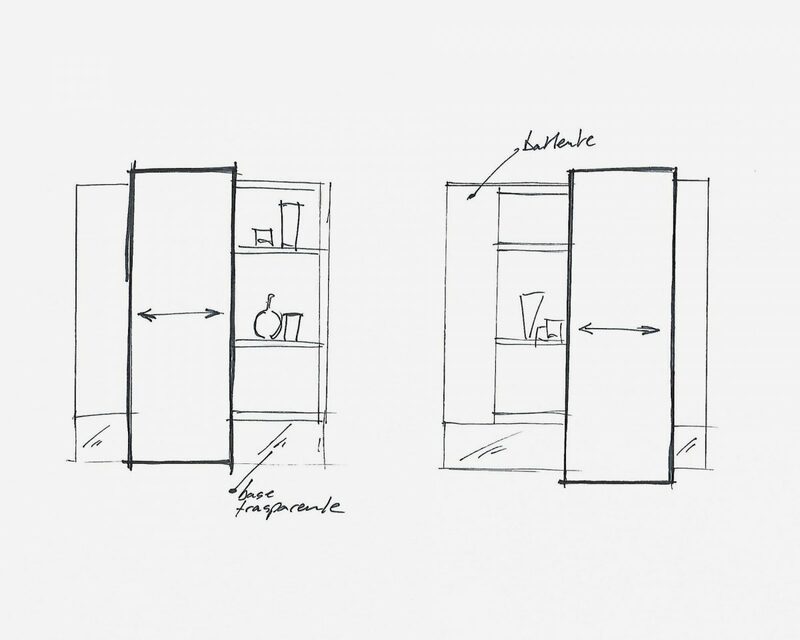 Two distinct cupboards that differ in the layout of the doors, with a double sliding and hinged door system. 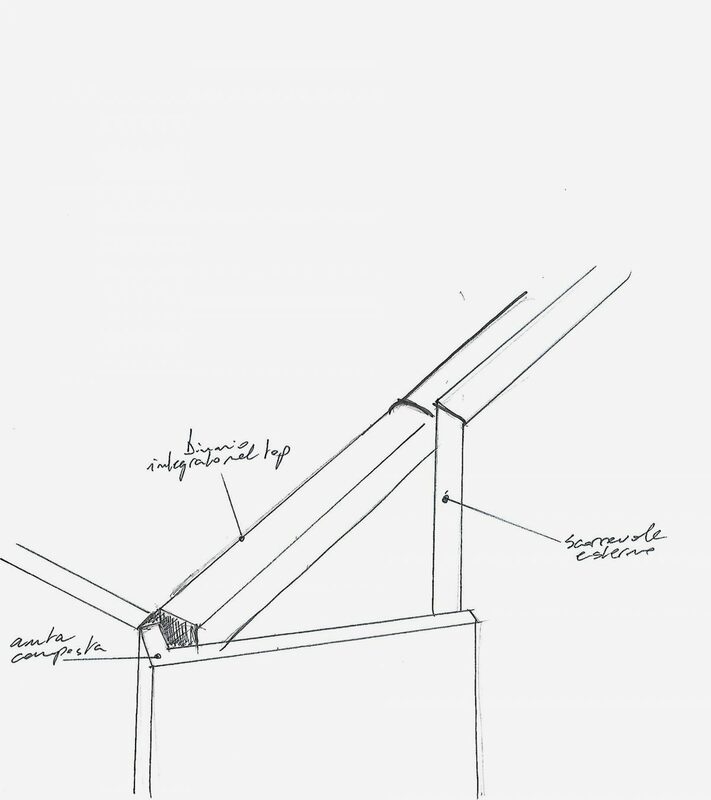 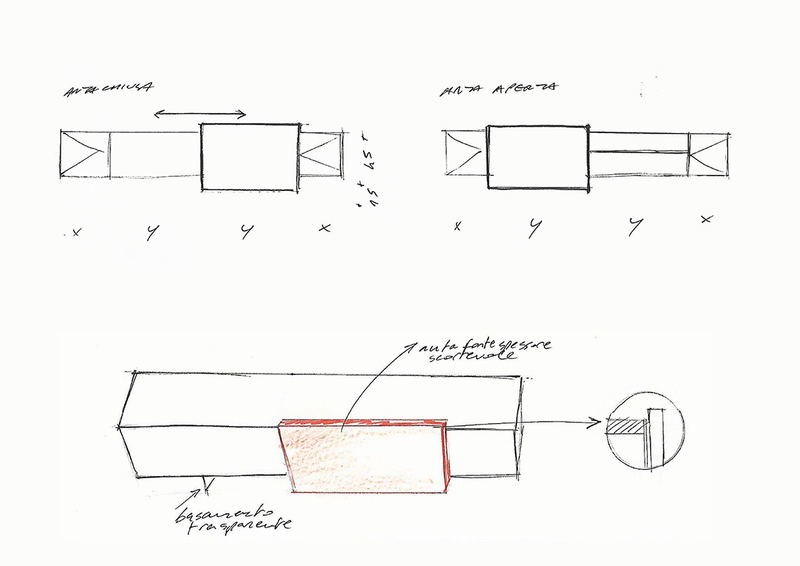 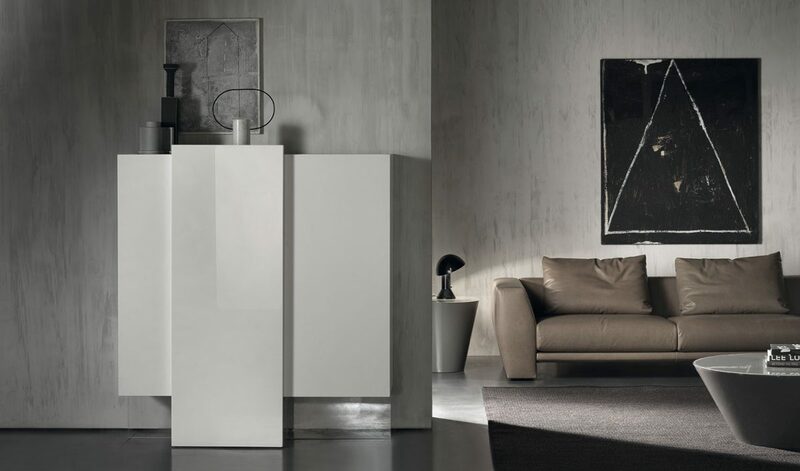 Yet, they share a common thread in their sculptural shapes and in the suspendend effect of the structure, thanks to a full height vertical door, the only apparent supporting element of the unit. 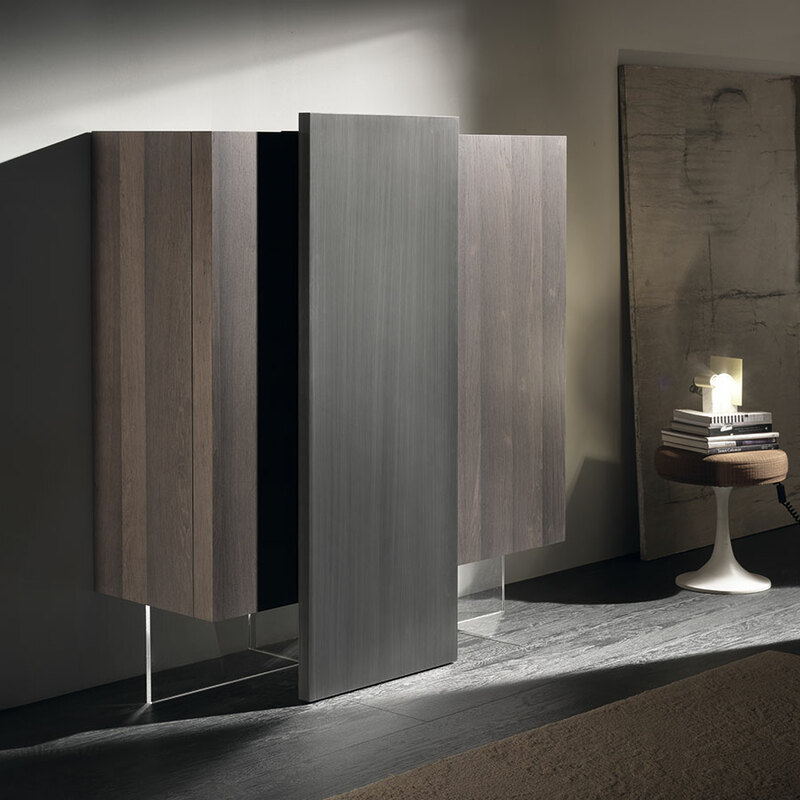 A rigorous, linear volume, with generous proportions but extremely light thanks to the transparent methacrylate base and the back-lighting system that create an unusually beautiful suspended effect, making the full-height front panel seem to be the only support element, which at a first appears to be fixed. 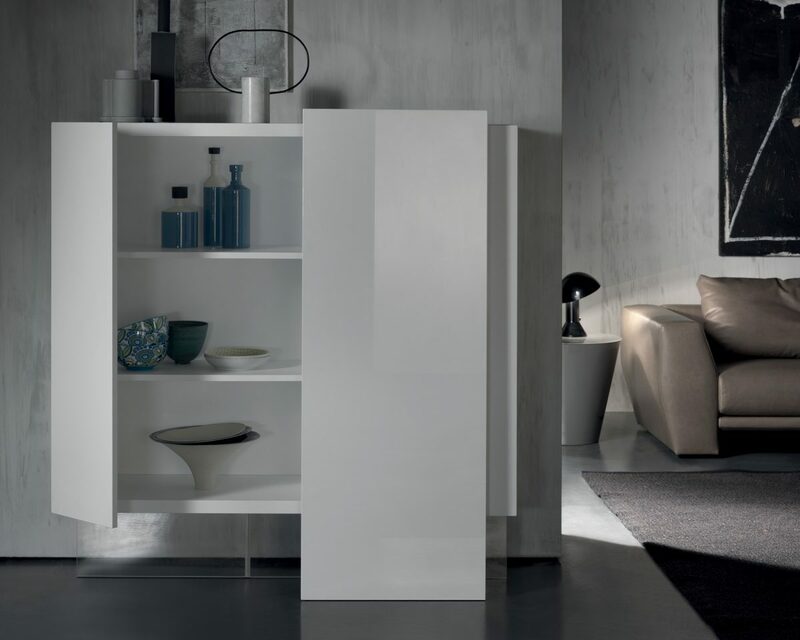 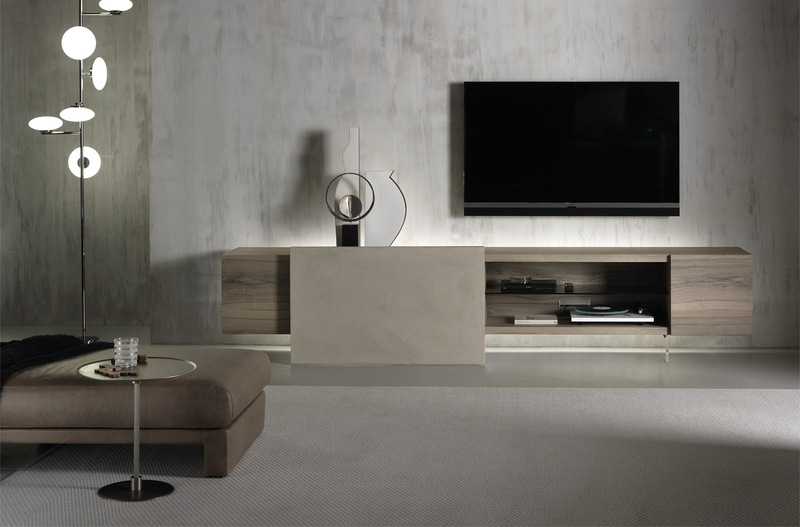 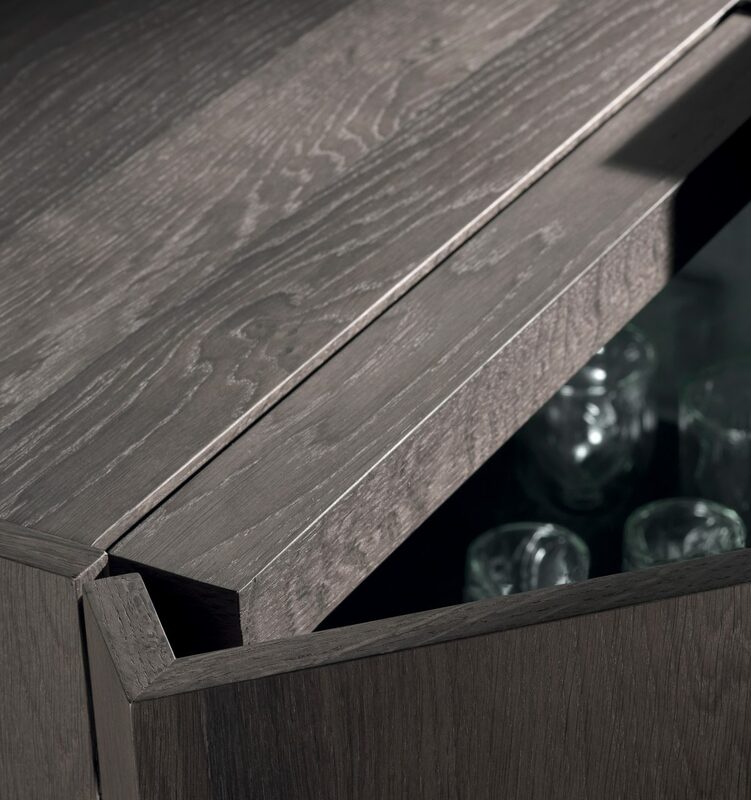 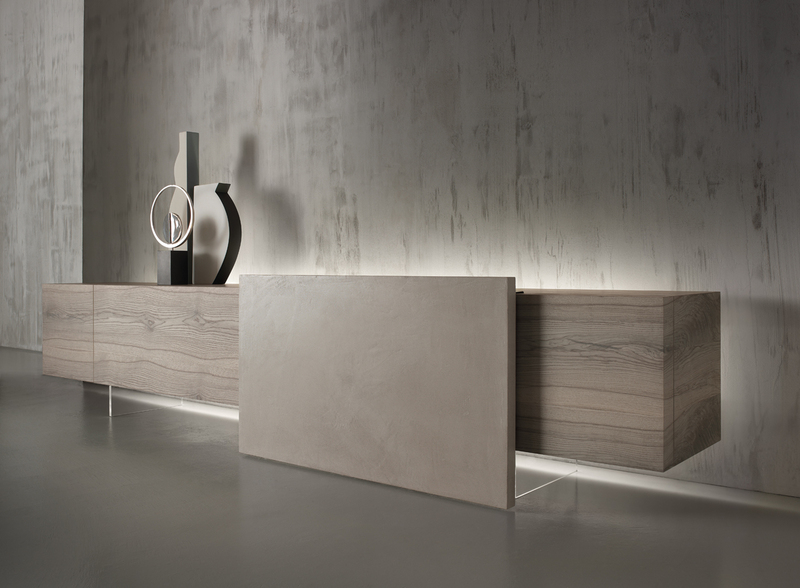 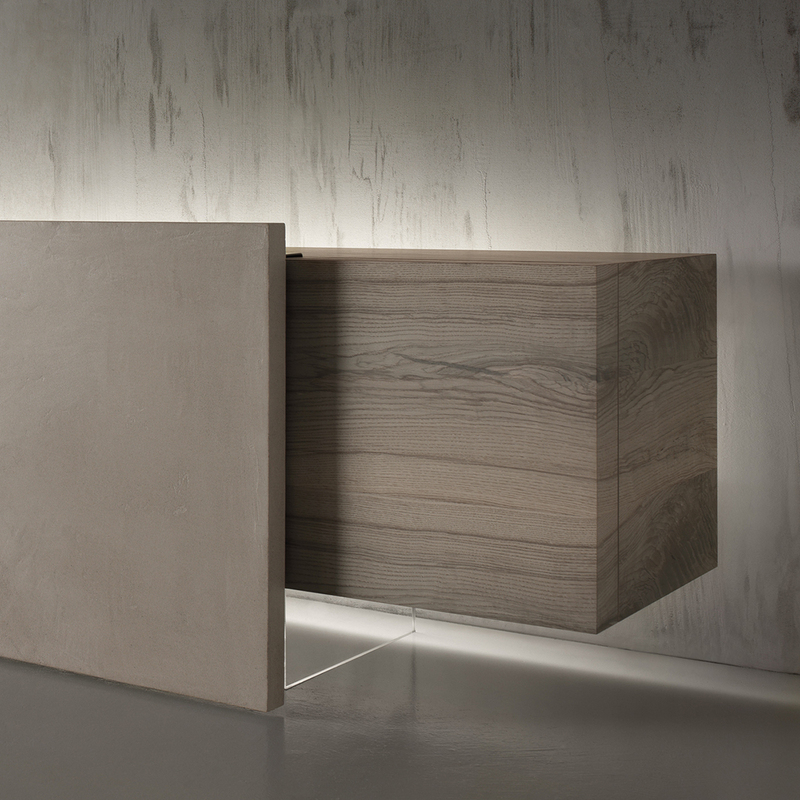 The unit combines three di erent opening systems: hinged door, drawer and a sliding front panel, which moves freely across the body of the structure, revealing an additional compartment.